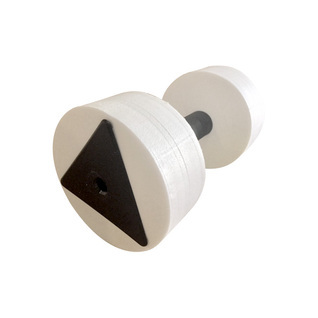 Our AquaJogger AquaFit Bells includes workout guide! Item does come in sets of 2. Aquajogger produces a great number of your favorite water aerobics gear. Get yours today! No chance to try them out in the water yet, but they look okay. I use these for my senior classes. some of the seniors like the added resistance. The product was everything I expected. It will be helpful and useful for my water exercises. When you order this item, what you see is NOT what you get. The ones that are pictured are much better than the ones they will send you. The the ones you get are poorly made. The PVC pipe is too long and the grip slips and therefore the float of the barbell slips. I returned the first pair I ordered (to the tune of $12 shipping)because they were too big. Saw this picture and knew these were better, but I did not get this type with the knob at the end holding it all together. Very Disappointed.